Current selected tag: 'feet drawing'. Clear. This reference guide explains the basics of the foot anatomy and explores the proportions of the feet from different angles and orientations. This reference guide is for anyone looking for an easy way to learn about the anatomy of the feet. It also includes specific tips about drawing the toes, ankles and heels. This reference guide is all about drawing the feet and legs. 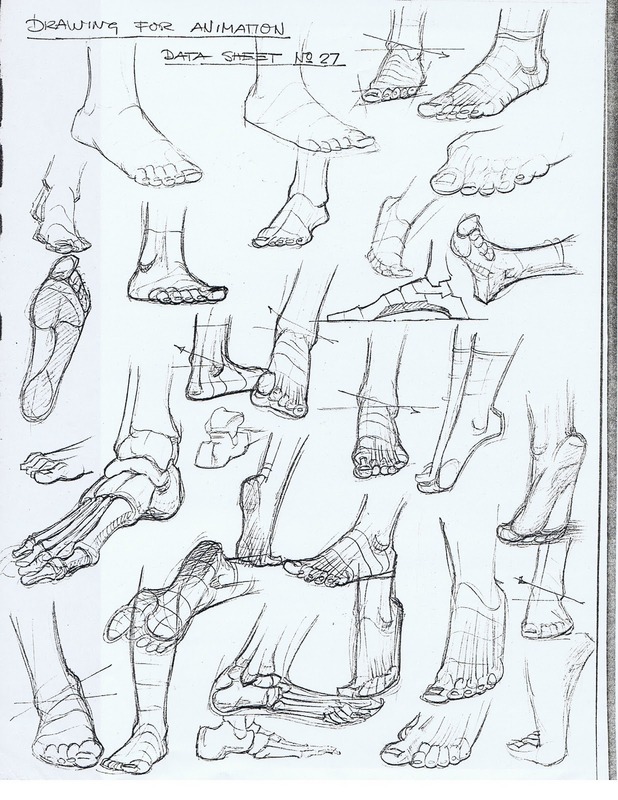 It contains several sketches of feet at different angles and orientations that you may come across when drawing feet from a reference image. This comprehensive reference guide contains a variety of feet at different angles and poses. 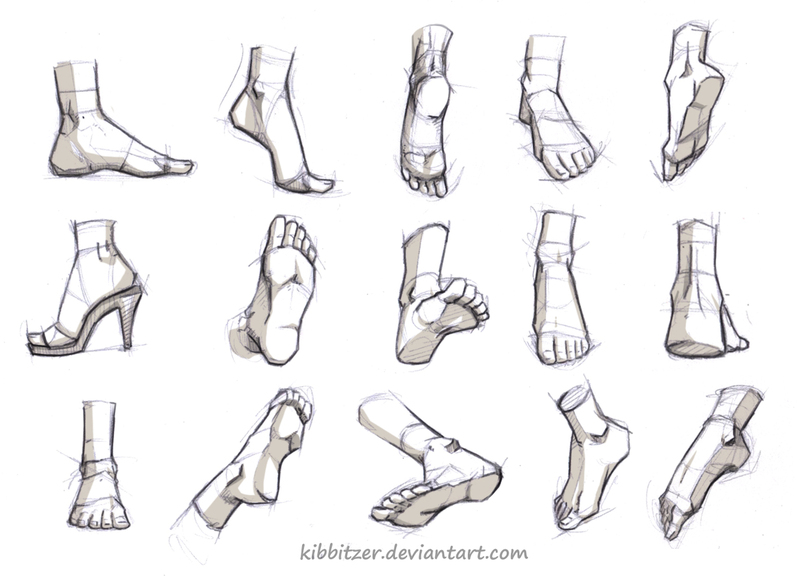 You can use this to practice your feet sketches and improve your understanding of the anatomy of the human feet. Drawing feet is one of the hardest things to do as an artist. Luckily, this reference guide shows you how to get started with drawing different feet angles and poses. 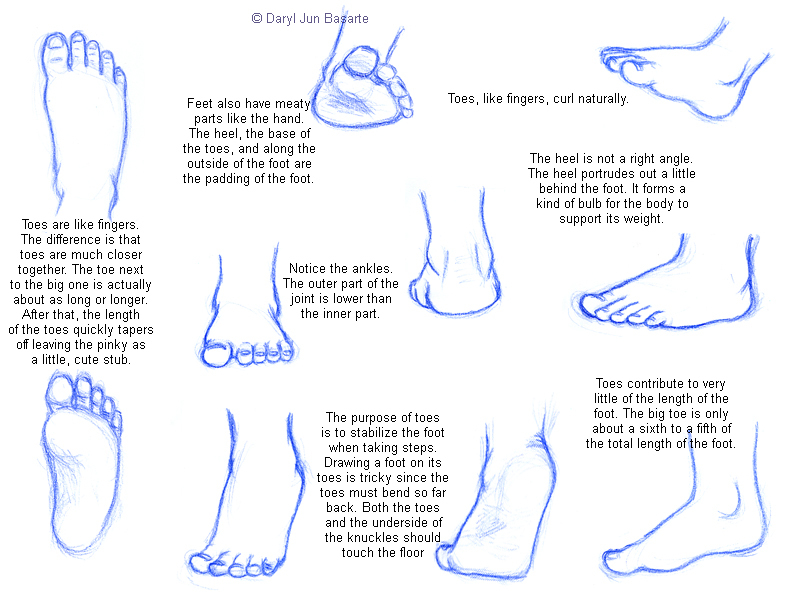 If you're currently struggling with your feet drawing, this is a reference guide you should keep with you. This drawing reference guide provides a useful 3-step approach to drawing human toes and feet. A reference guide about drawing the human feet. This reference guide is for anyone who wants to gain a better understanding of the anatomy of the foot. It provides useful tips about drawing feet from different angles and using basic shapes to construct the foot. This reference guide is for anyone who wants a quick and easy way to learn about the anatomy of the feet. 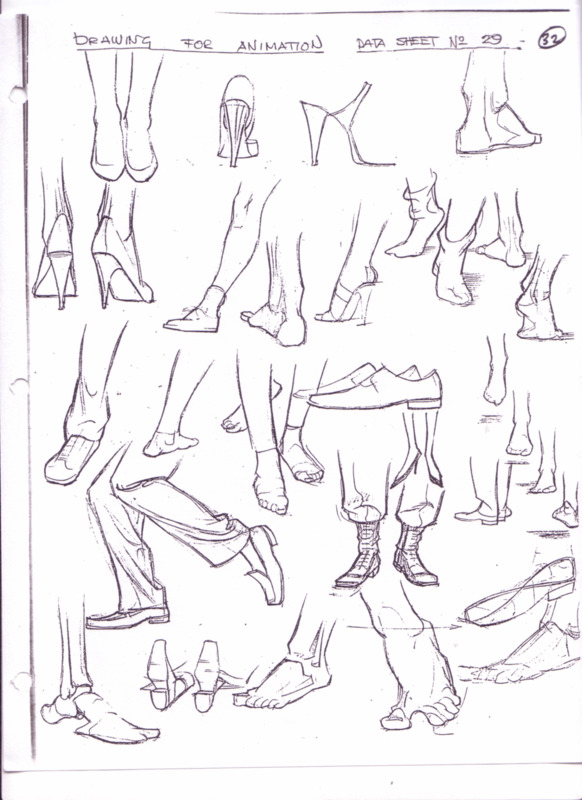 It also includes some sketches of various shoes you can use for cartoon character drawings. This useful guide shows you how to draw the anatomy and skeletal structure of a human foot. The guide is easy to follow and contains some really helpful guidelines that will make the task of composing proportion feet as easy as possible. This reference guide is a great tool for learning how to draw different parts of the human anatomy. It includes sketches for the feet, legs, arms, hands, and more. Check it out. 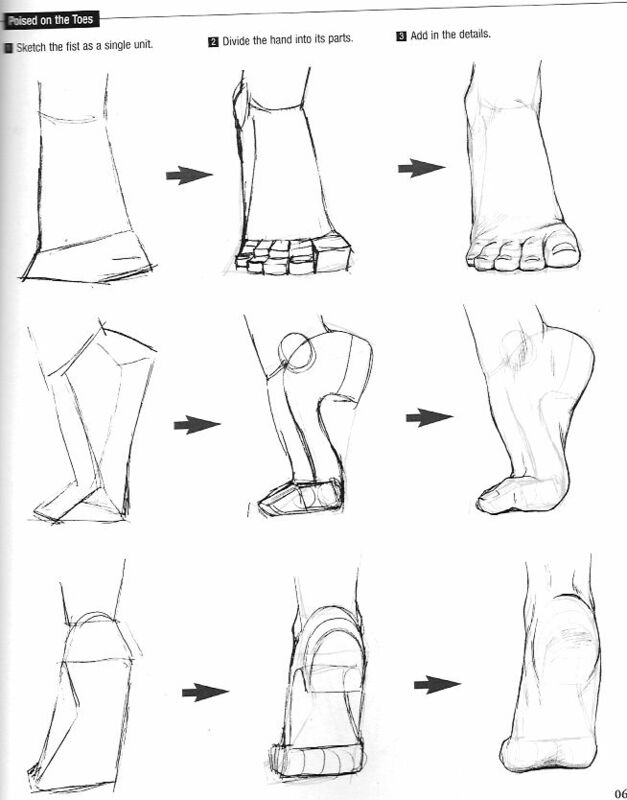 This useful reference guide has some cool tips and rules about drawing proportional feet. Whether you're in art class, or in your drawing studio thinking of how you're going to draw your model's feet, this reference guide is for you.